As the hipster classic Craft, Inc. did for crafters, this book will teach all types of creatives illustrators, photographers, graphic designers, animators, and more how to build a successful business doing what they love. Freelancing pros Meg Mateo Ilasco and Joy Deangdeelert Cho explain everything from creating a standout portfolio to navigating the legal issues of starting a business. 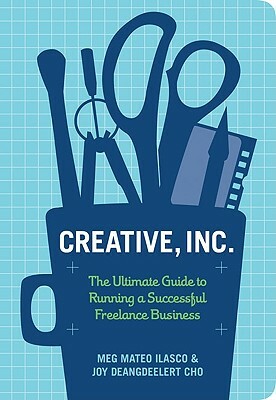 Accessible, spunky, and packed with practical advice, Creative, Inc. is an essential for anyone ready to strike out on their own. Meg Mateo Ilasco started her freelance business, Mateo Ilasco, in 2005 and is the author of Craft, Inc. and the Craft, Inc. Business Planner. Meg lives in the San Francisco Bay Area. Joy Deangdeelert Cho launched her design business, Oh Joy!, in 2005. She works with clients nationwide and authors an award-winning design blog. Joy lives in Philadelphia.